Puppies grow up far too fast! One moment they are a squashy little ball of fluff who fits in the palm of your hand, the next they are a full grown dog taking over the bed! Don’t let those early little pawprints run away from you. Follow these three tried and true professional dog photography tips from Pawsh Studio so that you can cherish the earliest moments of pet parenthood forever! 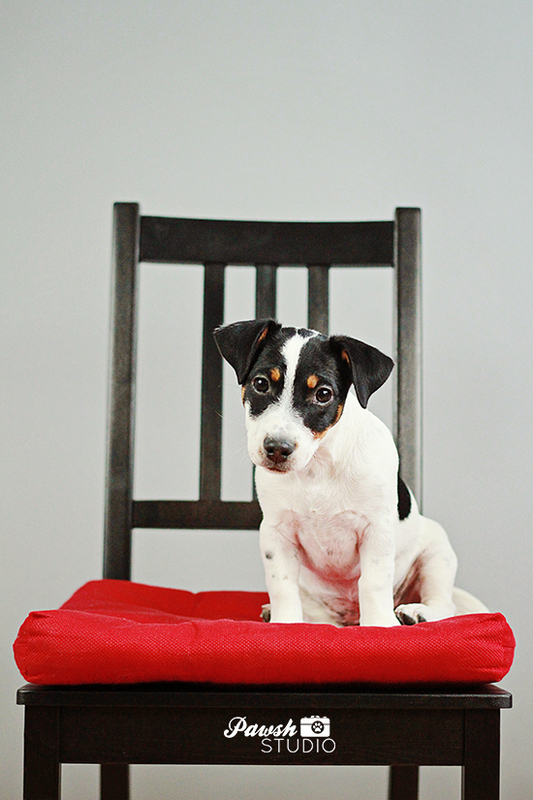 Place your puppy on a chair or sofa! This composition will provide an immediate sense of scale so you can see how itty-bitty your pupster really is sitting on the family couch. In a few months’ time, you won’t believe they were ever that small! Plus hanging out on something plushy will be comfortable and relaxing for the little one. Just be certain to make sure the furniture is sturdy and that they cannot fall off! In fact, ask a friend to help keep an extra eye on puppy while you mess around with the camera, just to be safe! 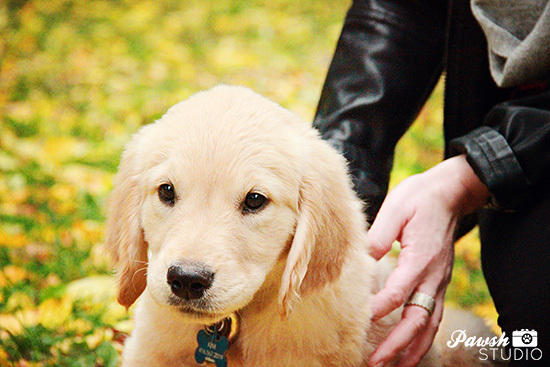 Take a photograph with your hands and your puppy in the same frame. 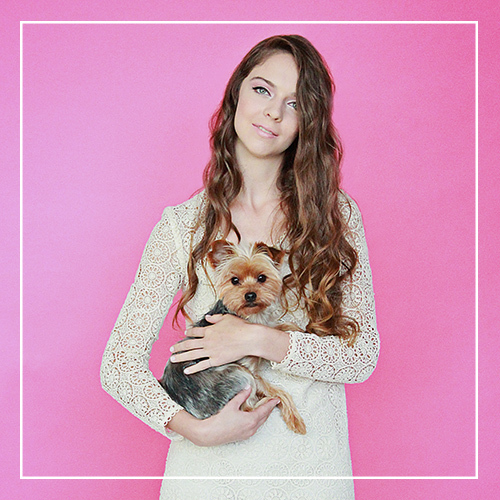 Even if your puppy isn’t small enough to literally fit in the palm of your hand, putting hands on your furry friend is an easy and natural way to showcase their size in a sentimental manner. 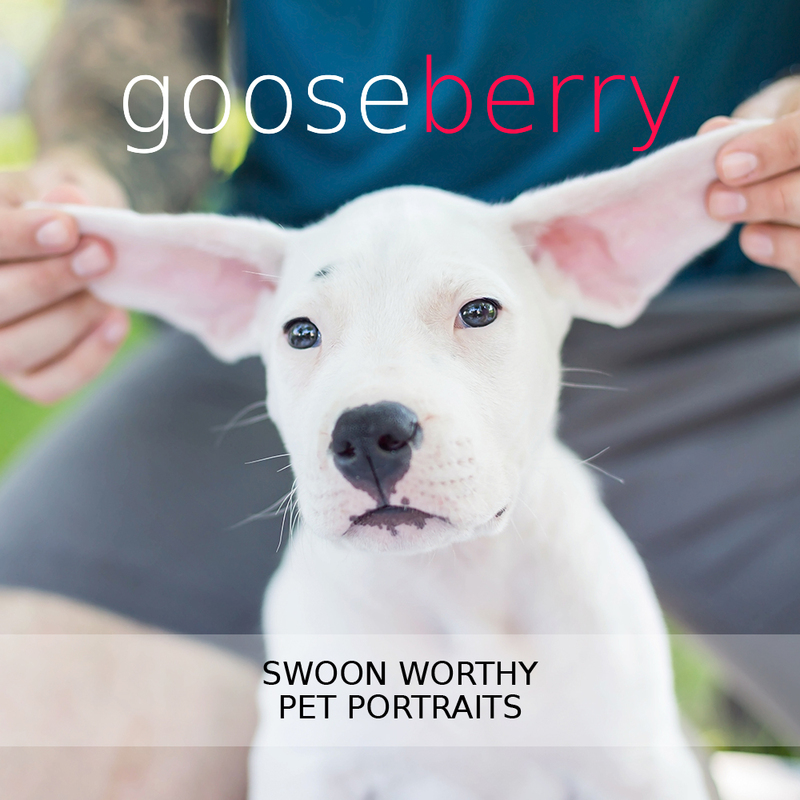 This composition is especially wonderful for those squirmy puppies who never sit still (or for those pet parents who are camera shy!) Simply set your camera timer, scoop up pup and say cheese! Or have a friend snap the picture! Or have a friend hold the pupster as just their hands will be in the final shot. The possibilities are quite endless. Fur sibling shots are especially fun if your puppy is expected to grow up to be larger than their big brother or sister. 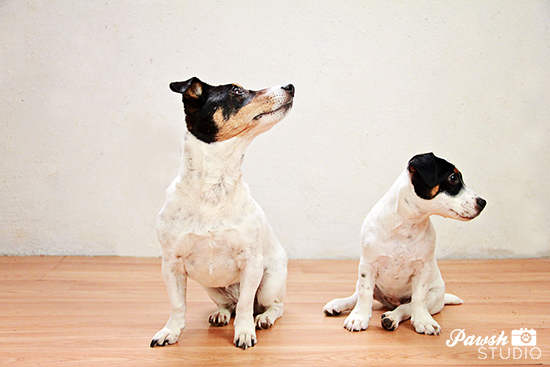 Focus your attention on the older dog, as they will most likely know their ‘sits’ and ‘stays’ like a pro. Be prepared with treats and gently place the youngster into the frame, making sure to show them a biscuit to keep their attention! Be prepared to shoot quickly – little roly-poly puppies won’t stay still for long! Once again, if you need to, ask a friend to help. If you absolutely cannot get the furkids to sit nicely together (and this happens most of the time with pups under 12 weeks), take them out into the backyard or a nice open space with lots of natural light for a run around. Chances are they will settle down together at some point in their own natural rhythm. They may tug on the same toy, wrestle or settle down to snooze. It is always best to let the dogs find a position that is comfortable for them and then follow with the camera, as the final image will be a genuine memory. Plus ‘posing’ is just no fun for anyone. The important thing to keep in mind with this shot (or any time you are trying to photograph an animal) is that you will need to be extremely patient. Don’t try to force the moment. Let the moment happen as naturally as possible. Never ever EVER scold while trying to take a dog’s photograph. Being followed by a camera is not a natural activity for them and in order to get nice, relaxed images your pup must also be nice and relaxed. Scolding associates negative feelings with the camera, which will come through in your final photos and stress the animal. So keep things happy and fun! If you feel yourself getting frustrated, put the camera down and try again later. 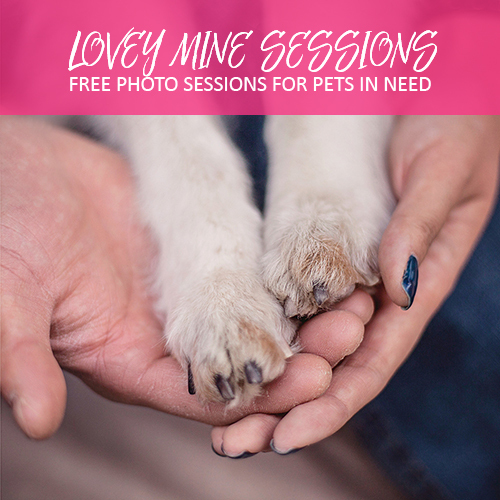 If you can’t quite get the photographs you’re after, don’t be shy – consider hiring a professional pet photographer in your area! Not getting beautiful shots of your itty-bitty puppy is something that is always regretted, because they get big in the blink of an eye. The investment of a professional pet photography session will pay for itself as the years progress and you look back on your photos with love.